Paris is accessible from any city in the world with Air France’s hub of operations. Additionally, most large air carriers have flights to Paris. While non-stops flights are always nice, connecting through other cities en-route to France can sometimes save you a lot of money. Check out flights connecting through London, Oslo, Helsinki and Frankfurt for less expensive airfares. Sometimes you can break the airfare to save money. 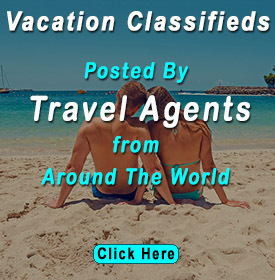 For example, is may be less expensive to purchase a round trip from your home town to New York and then a separate round trip from New York to Paris. 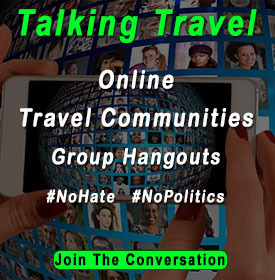 Make sure you allow an excess time for the connection as you will be changing airlines, waiting for baggage and then checking in the second flight. Accommodations in Paris can be reasonable to extremely expensive. 3-Star hotels run in the range of about $130 USD and up. It pays to do your online research and pre-book your hotel arrangements. For travelers on a budget, you may choose to stay in a Hostel with dormitory style facilities featuring a comfortable bed (generally a bunk-bed), washroom and a desk to keep your valuables. Hostels run approximately $50 USD per night and up. For a backpacker like me whose greatest love is photography and experience the local culture, my pair of shorts and camera are my most valuable assets so a Hostel is fine. Now, that you’ve done a little bit of research to know how you are going to get Paris and where you’re going to stay, I’m sure you are thinking planning sights and tours you want to take in. The first recommendation is to consider buying tickets on the Paris Big Bus! This is a Hop-On and Hop-Off bus system operating throughout the popular tourist areas of Paris. A 1-day ticket will run €35 and a 2-day ticket will run €45 Euros. This is certainly one of the best deals in town. If you opt to stay near a popular metro station, the pick-up and drop-off is hassle-free and more convenient. 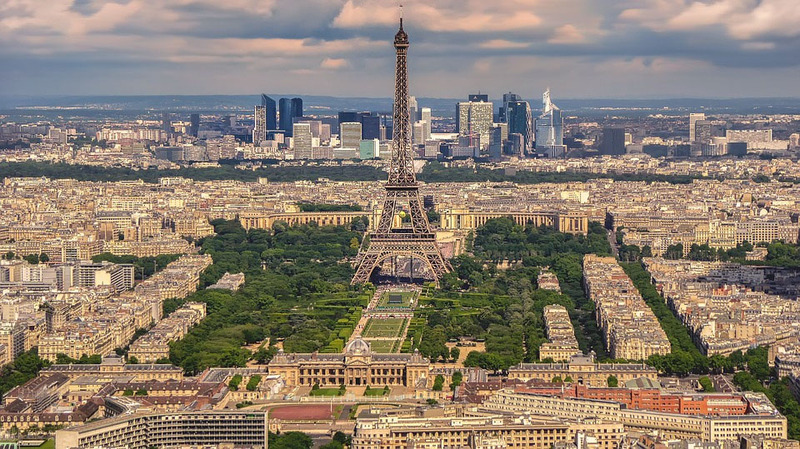 Now that you have your air travel tickets, a place to sleep and know how you are going get around the city, it’s time to think about the sights to see and things to do in Paris. So here’s my list of favorite places that you must visit while you’re in Paris. Never miss this iconic tower. It was built in 1887 by civil engineer Gustave Eiffel. Enjoy an elevator ride to the second strata or even the highest floor which is possible when you buy a ticket in advance. Take the pleasure of viewing the “city of love” from one of the tallest towers of the world. A ride on the Seine River is just astounding. For a photography freak, snapping exclusive views of the Eiffel tower is a bonus. 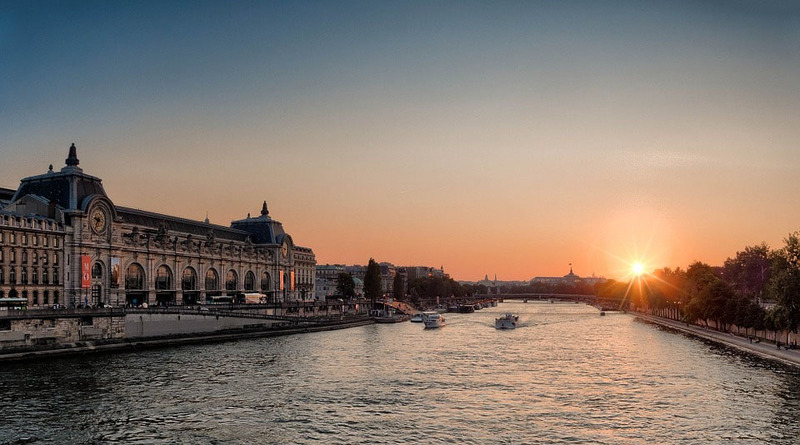 Enjoy a glass of champagne while you view the crimson hue of the setting sun from the Bateaux. View the love lock bridge while you cruise along the river Seine. 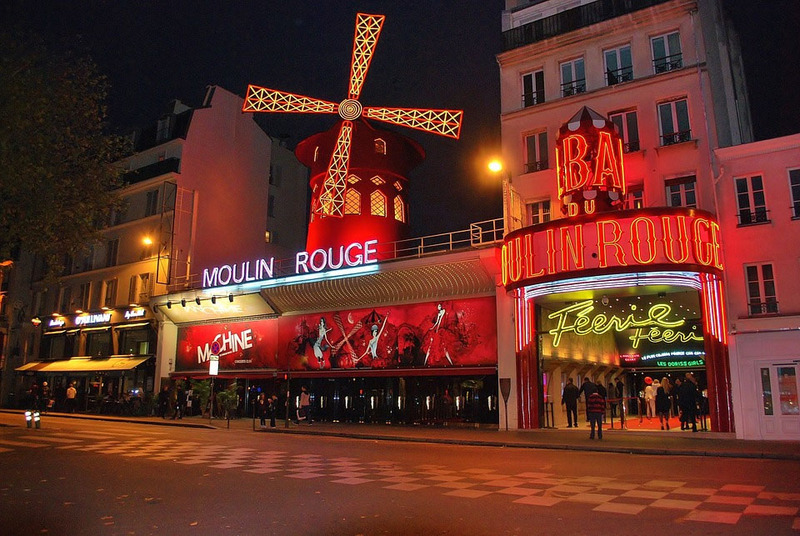 Your trip to Paris is outright incomplete without a night out at the Moulin Rouge. Experience the exotic dancers in the skimpiest outfits that will take you to your knees or maybe blush a little bit! Also, a walk along the Pigalle district will be a life-long memory. The Louvre. Dedicate an entire day to see the artistic wonders of the world in the world renowned Louvre Museum. Visit the three different sections namely – Islamic art, Greek art, and of course the Roman art. Unfortunately, you will probably have to wait in a long line to see Michelangelo’s historic portrait of Mona Lisa. The medieval era will come alive through those paintings. Although the great works were painted thousands of years ago, they look like they were just finished. Versailles is approximately 1hr 30 minutes from the heart of Paris by the RER train. You can take the Metro RER Train for approximately 7,1€. Once you arrive at the Palace, the tour will take you through the rooms and possessions of the royal family, Queen Mary Antoinette and Louis XIV, the famous reigning monarchs overthrown during the historic French Revolution. Experience the theatrical past while making your way downstairs where the Queen uttered the infamous words ‘let them eat cake’ that sparked the fire of French revolution. You will be given an English audio guide which will help you learn the significance of each corner of the royal palace. If you want to explore family fun, or enjoy cherishing your lost childhood, a visit to Disneyland is a must. Well, you would love to meet the magical characters and enjoy the fabulous rides. 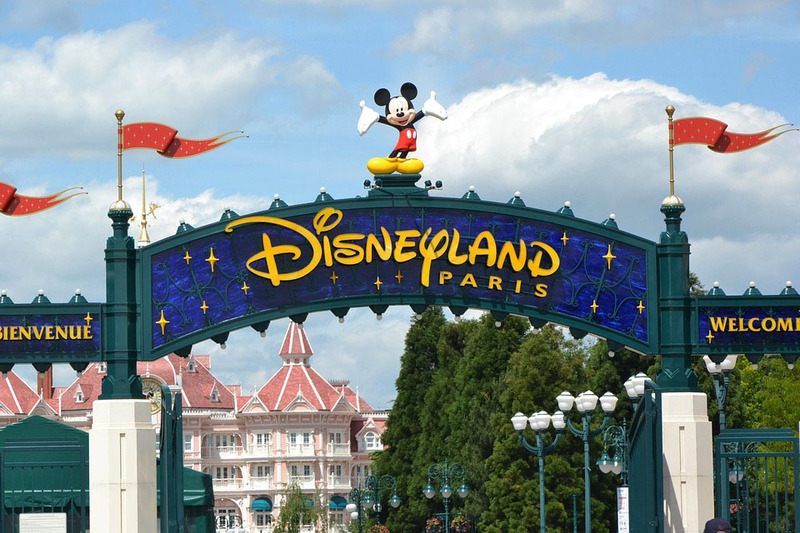 Remember Disneyland is situated quite away from the city, so you will have to book transportation from your hotel to Paris Disneyland. Once you arrive at the park it is non-stop Mickey Mouse and all the fun and innocence of Disney and its various on-going activities of the magical land. Are you fond of visiting ghostly places on earth? If yes, then visit the Paris Catacombs, a cave built from over 6 million skulls from the underground ossuary of Paris. It was constructed as a remembrance of those people who lost their lives in Paris and opened as a tourist attraction in 1874. A dark reality beneath the city of lights! Visit one of the oldest churches of the world, Notre Dame Cathedral which was built over 850 years ago. The guide will take you through the past years which have seen various changes in political scenarios. The construction of the Cathedral was started in 1163 AD and took almost 170 years for completion. 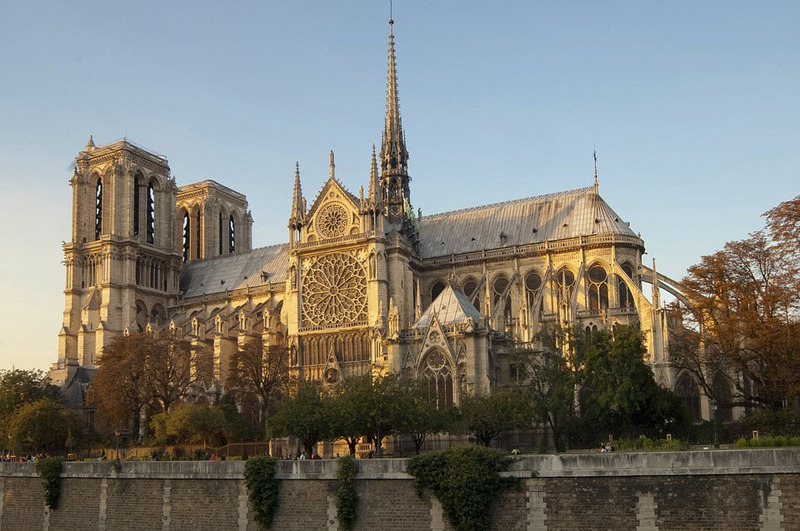 Enjoy the interior, exterior, rose windows, footsteps of Victor Hugo’s famous hunch back and of course the relics of Christs’ Crown of Thorns. 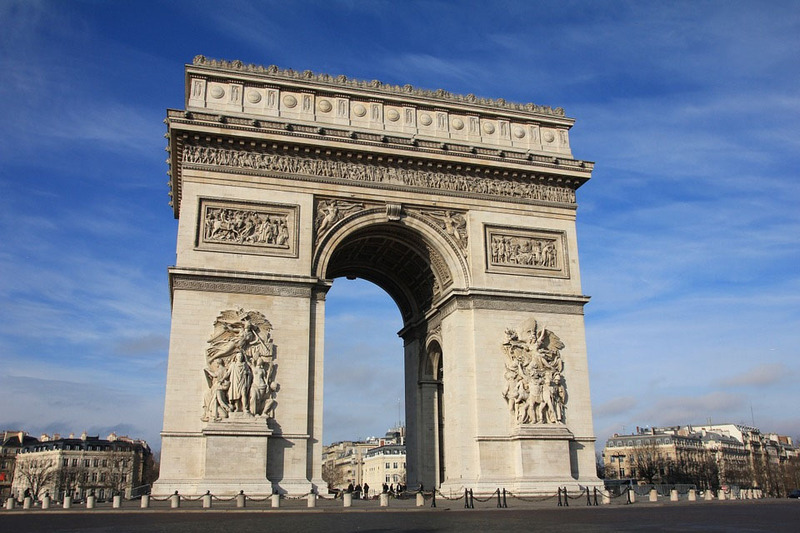 The Arc de Triomphe, an iconic landmark of Paris was open to the public in 1836, and was built in memory to those soldiers who lost their lives in the Napoleonic War and the French Revolution. It stands at the western end of Champs de Elyse’s. Take selfies with the monument which has the names of soldiers inscribed along its walls. Beneath the vault, there lies the tomb of Unknown Soldier who lost their lives in World War I. The Palace Garnier (Opera House) is a grand Theater and a beautiful sight to see. Schedule your 1.5 hour tour of the 300-year-old theater of Paris. Your eyes will admire by the awestruck glimpse of the opulent chandeliers, mosaic floors, and mirrors of grand foyer, galleries, and paintings. Feel the ambiance where the story of the ‘The Phantom of the Opera’ was scripted. It would always be better if you can enjoy an opera. Feel proud to stand in a place where famous opera like La Traviata was once played. Do not forget to take selfies with the famous wardrobes used in popular operas. Watch the tunnel where Lady Diana lost her life while rushing in her high-end car along with friend Dodi Fayed to escape some paid photographers snap her intimate moments. The queen of hearts met her end over here. Famous cities have many venues and landmarks which have a story to tell and are worthy of touring. Paris has more than its share of beautiful and historic places to see and experience. The summer months are generally the best to visit Paris, but the spring and fall months offer a great time to visit as well. You may want to consider visiting during the off-season winter months to save a lot of money and also avoid the crowds. However, from June to August many of the attractions will have extended hours since the sunset usually occurs after 9 pm. There can be no city in this world lovelier than Paris, the ‘City of Love.’ I’m pretty sure that you will utilize every bit of your time exploring the grandeur of the city. Hope you find this article useful and enjoyed it as much as I did penning it. Keep traveling and keep exploring! Awesome…hope to see Paris once in a lifetime.